About half an hour into the flight you realise the weather is different to what was forecast. Looking over your left shoulder you see a dark cloud line beyond the wing. It’s not like in the simulator—these clouds feel close, enveloping, threatening. Less than a minute later, fat raindrops are hammering on the windscreen as static crackles in your headphones. You go on instruments in the gathering gloom but have to lean forward to read them because you don’t have your glasses on. You’re sweating now, focusing on the panel and not daring to look outside. A little sightseeing now would end it all. And in the midst of everything your phone rings, like a messenger from another dimension. You flip up your goggles, let go of the handgrips and walk from your study to your bedroom to take the call. Welcome to virtual reality flight simulation. Virtual reality (VR) involves a simulated computer environment that users can explore in three dimensions, usually using goggles and headphones. A gyroscope, accelerometer and magnetometer that allow 1000 position readings per second. 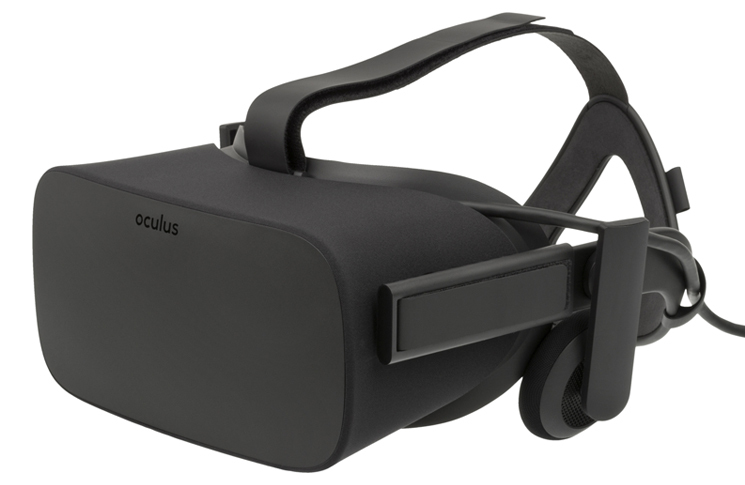 Predictive software guesses where an Oculus Rift user will look next. Faster reacting pixels on AMOLED screens eliminated nausea-inducing ‘latency’ delays between head movement and image change. Creating an optically correct appearance with simple lenses and low-cost optics, using a deliberately distorted image, rather than using expensive lenses to convert a raw image into an optically correct image. Positional tracking that follows head movement as well as rotation. Until now, VR’s only intersection with aviation has been in the form of computer games, but now its promise is emerging. 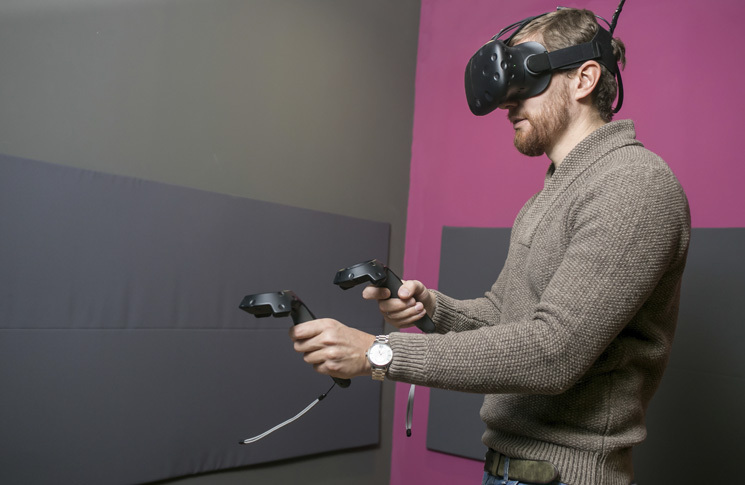 Networked Society Institute Fellow (Virtual Reality) at the University of Melbourne, Ben Loveridge, says VR has unique advantages in training for stressful situations. ‘People who experience something in VR and then do it in real life often comment it feels like they’ve been there before,’ he says. 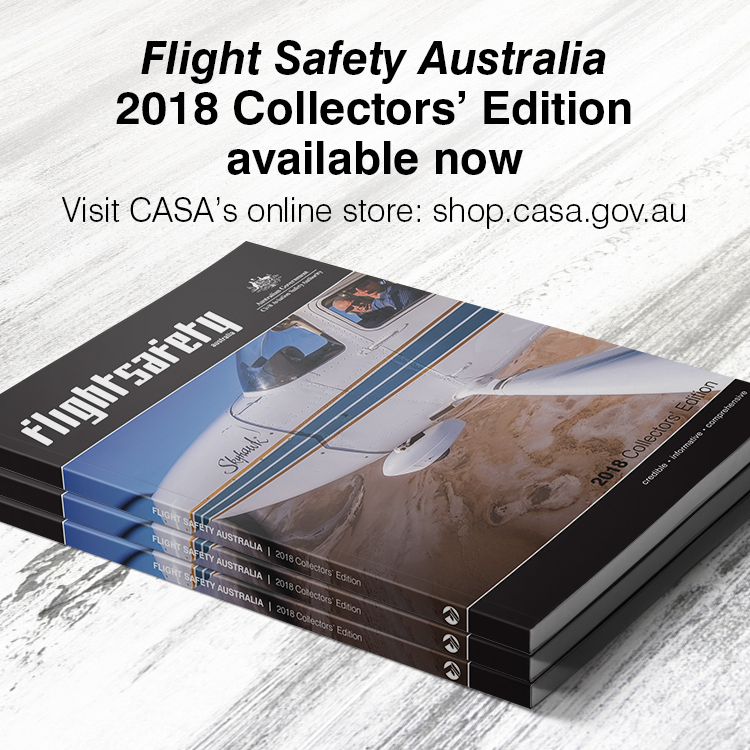 CASA simulation team leader, John Frearson, says the regulator is open-minded about virtual reality simulation but concedes such a fast-moving area will stay ahead of aviation regulations for the foreseeable future. ‘A bunch of high school students in India can build an app years in advance of what a regulator can approve,’ he says. ‘Any device that qualifies you to make entries in your logbook needs a level of fidelity way beyond that of even the most impressive game,’ he says. The deadly risks in simulator training are untrained instructors, unapproved syllabuses and unfaithful devices. Combine them and simulation becomes an accident generator in its own deadly right. ‘Combine an untrained instructor and unapproved syllabus and you get American Airways flight 587 that crashed in Queens New York City, in 2001,’ Frearson says. American Airlines’ simulator training had emphasised vigorous use of the rudder in response to wake turbulence, which was harmless in the simulator, but the pilot flying in AA587 used so much rudder it tore the tail off the aircraft. Frearson says VR has already arrived at the top end of flight simulation. A full motion level D simulator is in effect a very large set of VR goggles, he says, as is a military simulator where the aircraft is in the centre of a dome with the world projected on it. CASA is currently signing off on involved and expensive simulator upgrades to give high-level simulators upset recovery training (UPRT) capability. 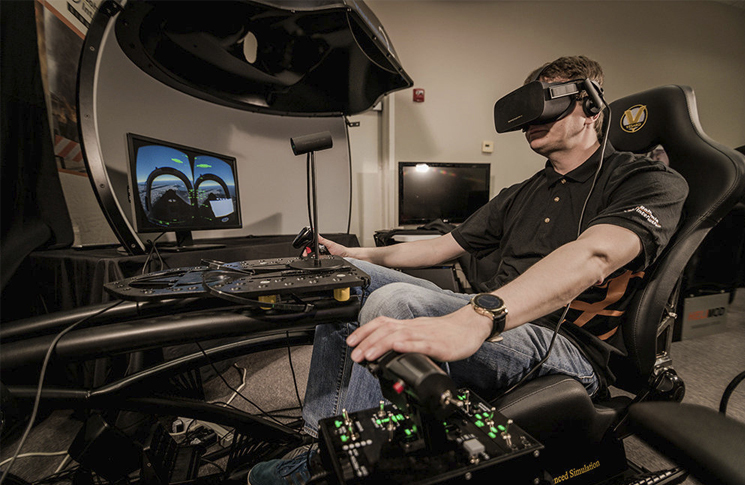 ‘I could see how VR could be useful to produce a simple, generic simulator for representative of generic fidelity for UPRT training,’ Frearson says, musing on the possibility that eventually a virtual reality simulator could be used from anywhere in the world, so long as the pilot had a set of goggles and a set of mocked-up flight controls. A common complaint among older pilots (and older people generally) is to lament the youth of today. Frearson prefers to deal in facts. The new generation of pilots will be more reachable with VR than with paper, he says. Swinburne University Senior Lecturer in Aviation Training, Chrystal Zhang, makes a similar point. ‘We talk about bringing the context of the industry into the classroom,’ she says, arguing that virtual reality is the ideal way to do this. ‘VR could create a global community in a virtual classroom. I think virtual reality will have a huge impact on people’s perception of distance,’ she says. Zhang sees advantages for VR in cabin crew, maintenance and ground handling training. For cabin crew, she imagines it could be valuable to create virtual cabins to teach emergency procedures and the subtle art of reading passengers. ‘It would be of great value. Cabin crew not only look after passengers, they ensure their safety, yet their safety responsibilities tend to be overshadowed by their customer responsibilities. I can see how VR could change that,’ she says. For accident investigation and recreation, VR could create the flight crew’s point of view. Luca Chittaro and colleagues compared how quickly people trained in VRdonned life jackets, compared with those who learned from studying safety cards and watching cabin crew demonstrations. They found knowledge transfer to the real world is significantly better in those who used mobile VR. Moreover, users perceived the tool as significantly more engaging, simple and effective. Cardoş, R. A., David, O. A., & David, D. O. (2017). Virtual reality exposure therapy in flight anxiety: A quantitative meta-analysis. Computers in Human Behavior, 72, 371–380. doi:10.1016/j.chb.2017.03.007. Chittaro, L., Corbett, C. L., McLean, G., & Zangrando, N. (2018). Safety knowledge transfer through mobile virtual reality: A study of aviation life preserver donning. Safety Science, 102, 159–168. doi:10.1016/j.ssci.2017.10.012.